Earlier today, Vanity Fair unveiled the portraits of the characters of Star Wars: Episode VIII The Last Jedi that legendary photographer Annie Leibovitz shot on set last year. 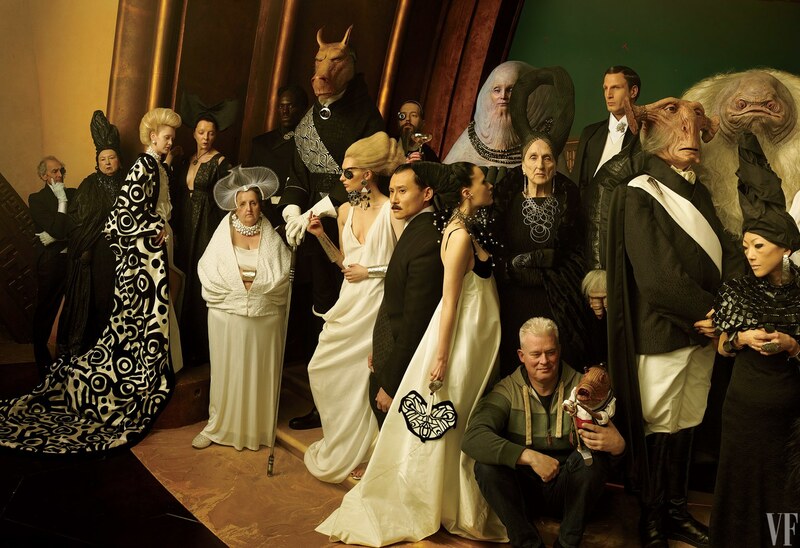 Among the reveals were a shot of Gwendoline Christie as Captain Phasma without her helmet on and our first look at the upper class denizens of the casino city Canto Bight. While the the cover story that will accompany the photos in the magazine offers plenty of insight from the cast & crew, Vanity Fair has also posted an interview with the Lucasfilm Story Group's Pablo Hidalgo. Hidalgo offered some additional insight into the people of Canto Bight as well as what it means that we're finally seeing Phasma without her helmet. "What we’re going to see in The Last Jedi are some people who have managed to carve out a life for themselves where they can live apart from the galactic struggle. They found a way to live above it or beyond it. There’s a class of wealthy that have helped build all sorts of loopholes in society that will always ensure that they’ll survive or even thrive no matter what else is happening out there." "It was only relatively recently that we wanted to commit to the idea that there was a human under there. The Force Awakens left that question, but as we got further into Last Jedi, as well as some other stories we’re thinking about with Phasma, we had to ask ourselves, 'All right, do we agree there’s a human under there?'" This doesn't answer the question of whether Phasma will take off her helmet in the new film. 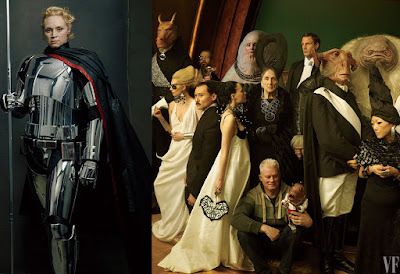 The fact that she's on the cover without her helmet is not guarantee of anything (though it's worth remembering that we were asking the same questions about Kylo in The Force Awakens when Adam Driver appeared helmet-less in Vanity Fair in 2015 and he did wind up taking his mask off in the film). 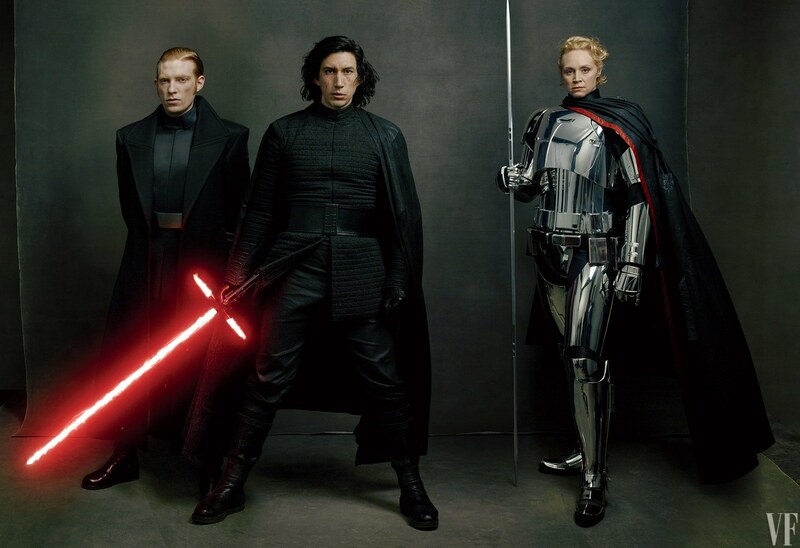 It is interesting that they waited so long to answer the question if Phasma was definitively human and makes you wonder if that decision was made before or after The Last Jedi was shot. Keep in mind, there is a Phasma novel and comic book miniseries coming in September so those answers could have been decided for those rather than the film. All that being said, I would be shocked if we don't see Phasma without her helmet on screen by the end of the sequel trilogy.